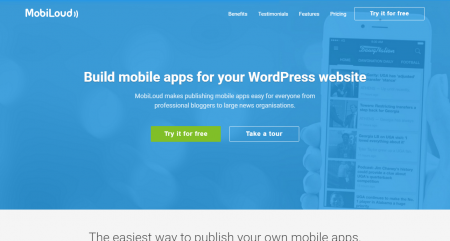 A comprehensive list of 5 Best WordPress Plugins to turn your Website into a Mobile App 2019 according to 901 users. 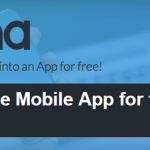 Mobile apps are becoming the one-stop source of massive traffic. But, they are not that easy to code and popularize. One simple way to utilize the best out of this concept is by turning your website into a mobile app. 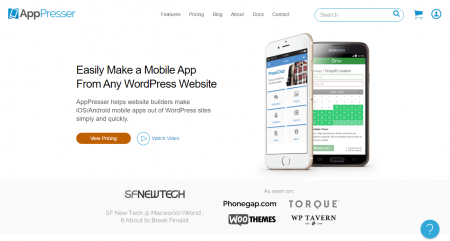 There are working methods that can quickly create an app for an existing WordPress website which is fully functional on smartphones and tablets. These plugins simply put a responsive layout for the website which is in use, every time a visitor hits the website from a smartphone or tablet. If your site is already offering a fully responsive layout, then you might not need to consider using these plugins. But, if the case is on the other side, then here is a compilation of best plugins to turn WordPress site into a mobile app. Before you begin using any of these solutions, I’ll recommend to try them out on a demo site first. Let’s have a look at the available options one by one. Thank you for stopping by and giving your input. Could you please be more specific as to which service provider gave an error message on IOS? Also, Mobiloud is already mentioned.